Our mission is to be the “best choice” for a family when they decide to build or purchase their “new” dream home. This is accomplished by providing the highest level of professionalism when building their home. We will continue to be recognized as the most knowledgeable builder in our local area which will empower us to assist our clients throughout the entire process of building their new home. This process often includes reviewing the site, assisting with the design of a custom home, and identifying the best financing options for each client. Our homes are built by skilled craftsmen and women who are “masters” of their respective areas of expertise. Our consistent team of skilled craftsmen assures our homes are built right and built to a higher standard. “We refuse to be just another jack of all trades but master of none company!” Here at Dave Hobba Builder, OUR TEAM KNOWS each home we build makes a difference for a family and the community in which they live. This is why “Our Team” of employees, subcontractors, and suppliers are proud of the homes we build and the professionalism we provide. 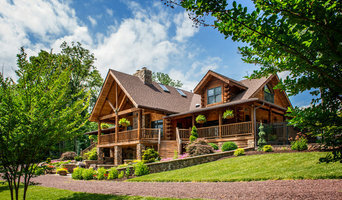 Appalachian Log Structures, with a National Sales Office located in Ripley, West Virginia, has over 35 years specializing in manufacturing milled log homes. ALSI offers five log profiles and four corner styles. Log profiles offer a precut, tongue and groove, solid wood wall. The engineered Premier building system also includes a precut timber frame loft floor, rafter roof, and porch system with thru-bolts, hardware, caulk and gasketing. All precut log wall materials are grade stamped and protected by a 5/25- year warranty against wood digesting insects and decay by our borate pressure treating process. We Buy Houses® is the original national home buying company! As the most recognized brand in cash home buying, we help investors with tough situations, and we help investors grow their business. Joe and Jim Construction Inc.
Joe and Jim Construction specializes in custom-designed and constructed home additions, new constructions, and bathroom/kitchen remodeling projects in Ashland, Kentucky. For our new constrictions in KY, we can provide you with a consulting team to better check your requirements before beginning the project. New constructions in Kentucky can have different requirements in permits, materials, and design, so better check with experts. Haus Builders Group, LLC is a group of dedicated and skilled independent builders, committed to integrity and quality. Our motto is "Working Together to Serve You Better". We specialize in custom homes, but are diversified to meet all you building needs. This diversification ranges from custom homes to horse riding arenas, from post frame buildings to specialized remodels, and from excavations to roofing projects. Haus Builders Group stays on the cutting edge of the building industry by recommending and providing some of the most energy efficient products available today. For our customers this means total home comfort and the assurance that their heating and cooling bills are not going to the wind! Designing and building custom homes since 1979. Every Cetide project is unique, comfortable and attractive with superior excellence expected by discriminating homeowners. We combine beauty with strength and durability that together will endure a lifetime. Hayes Brothers has been one of the preeminent builders in Putnam County, WV for nearly 10 years. We just completed our 30th custom home and we expect to do between 8-10 new homes each year going forward. Framing Men Construction LLC is a Family-Owned business that takes pride in it's old-fashioned approach to the values of hard work, integrity and quality service. Our Principal Owner is a veteran military officer (U.S Marine Corps) with over 20 years of public service in various organizations. Our Chief Carpenter is a veteran home builder with over 25 years experience in building custom homes and all forms of carpentry. We are excited about your next project. Give us a call so that we can discuss how we can help make your dreams come true. We can assist you with custom home building, home additions and outbuilding construction projects. 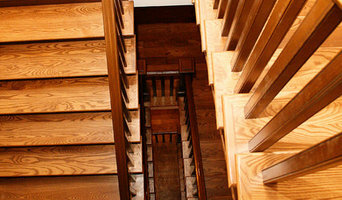 We also have extensive experience in a wide variety of other projects to include: installing new hardwood floors, tile, remodeling kitchen/bath, custom ceilings, siding, stairs, decks, garages, barns and outside storage buildings. We pride ourselves on exceptional customer service. Delivering a completed project on time and within budget is our main focus. Call us for a free estimate on all of your building and remodeling projects. We service the Charleston, WV and surrounding areas! We have been in business under Tom Huffman since 1978, and provide you with all your truss needs. We give free quotes and design on every basic plan. Experienced employees bring over 100 years of experience in both design and construction, insuring that you, the customer, gets the best reward for working with us. Whether you need shelter or support just look to Huffman Truss, Inc. Located in Athens, Ohio Barney Grueser owner of B. Grueser Builder has been in business since 1976, building over 125 homes in the Athens, Ohio area providing building and construction services for residential, commercial, and Muncipal customers in the Athens, Ohio area. Barney Grueser has worked closely with local Architects and Engineers. With customers in 8 states Barney can supply an extensive list of references for B Gruser Builders. With 30 plus years experince in all phases of construction and building its deep commitment to innovative and green building practices Barney Grueser is your obvious choice for your next project. Let us be your turn key builder. Yet, our business doesn't stop there! Not only are we building forever homes, we can also help you with the process of buying one. With our sister company Grueser Real Estate, we can place you in the home of your dreams. Not only can we help with the home itself, but we can even get you the land and location that you dream of. So why not go with us?! Give us a call because we look forward to hearing from you! For Cheshire residential home builders who also act as developers, the job starts well before the first nail is driven. They perform local market research to determine whether the prospective homesites make sense in the Cheshire, OH market, as well as survey the land on which the house will be built to make sure it is suitable for construction. Custom builders also obtain the necessary permits. A good custom home builder in Cheshire, OH has skills that go far beyond construction — he or she must supervise subcontractors and artisans; keep tabs on local zoning regulations, building codes and other legalities; inspect work for problems along the way; and perform dozens of other roles that are essential in building a quality house. Here are some related professionals and vendors to complement the work of home builders: Interior Designers & Decorators, Landscape Architects & Landscape Designers, Architects & Building Designers, Kitchen & Bath Designers, Specialty Contractors. House builders are responsible for ensuring that the home-building project sticks as closely as possible to the specified timetable, particularly in the event of change orders. Custom and luxury home builders in Cheshire, OH also need interpersonal skills to deal with clients of all types, soothe frazzled nerves, negotiate conflicts and resolve problems. Find custom home builders in Cheshire, OH on Houzz. Narrow your search in the Professionals section of the website to Cheshire, OH home builders. You can also look through Cheshire, OH photos to find a house you like, then contact the builder who worked on it.